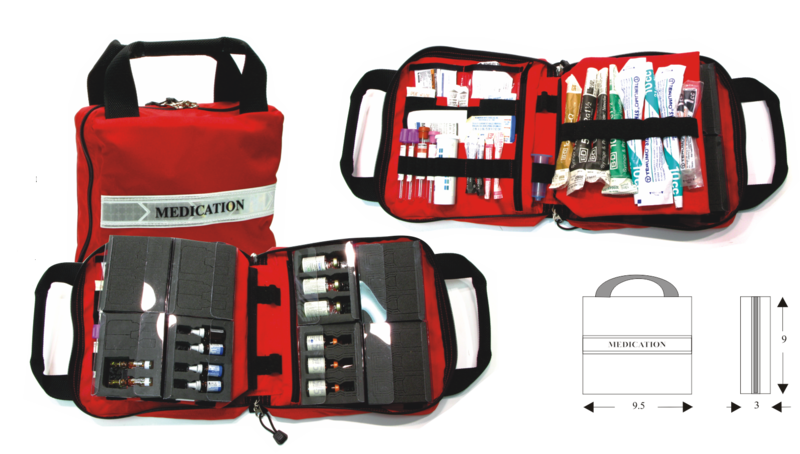 The MD:02 Pullout Medication Module organizes and displays all or your advanced medication supplies. The internal divider dramatically increases display area, while the left side has windowed pockets to and displays miscellaneous supplies, Made of 500 denier cordura and is supplied with two sliders with interlocking loops for an additional lock or seal including drawing blood. The Md”02 is supplied with 4 RX:01 and 4 RX:02 medication cassettes.